The Anritsu ML2487A and ML2488A Wideband Peak Power Meters provide accurate peak power measurement for communications, wireless, and aerospace applications. For the design and implementation of wireless networks, they address the important issues of power control, peak power, and timing. 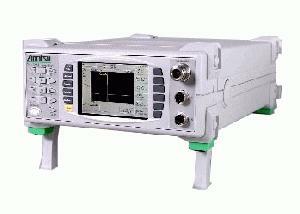 The performance of the signal channel and the range of product features make accurate and precise testing of the power envelope of communication and radar systems easy and straightforward. The ML2487A supports one sensor, and the ML2488A supports two sensors.